Mince from machine-filleted frames can constitute up to 28% of the frame's weight. The water content of the mince can be easily adjusted. 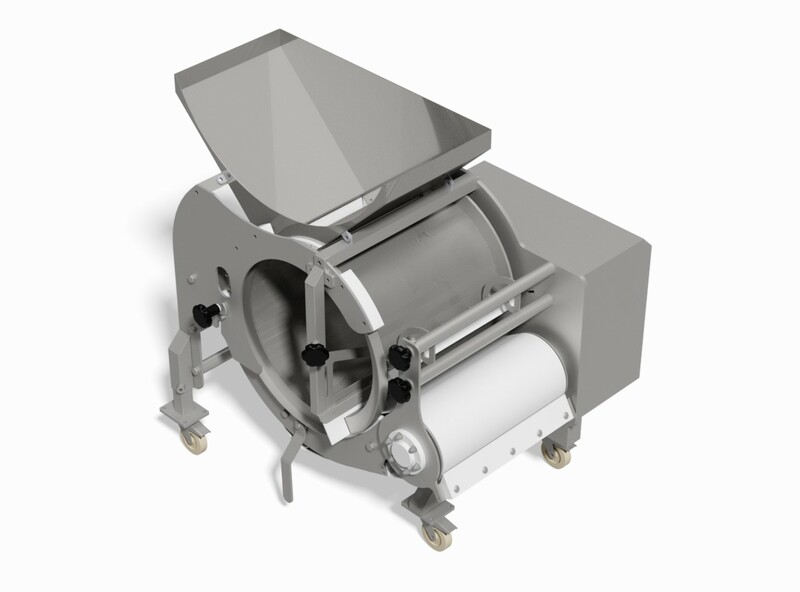 Value-Added Mince Solutions from Skaginn 3X is an advanced mince processing system for fish frames and is ideal to increase material production and overall efficiency. After the fish has been processed by the filleting machine, the fish frames can retain up to 28% of the meat, which can collected for mince by the system. The system is composed of a customizable range of cost-effective modules, from standalone machines to complete system. All units in the system have easy access for cleaning and can tolerate high-pressure water, foam, and detergents. 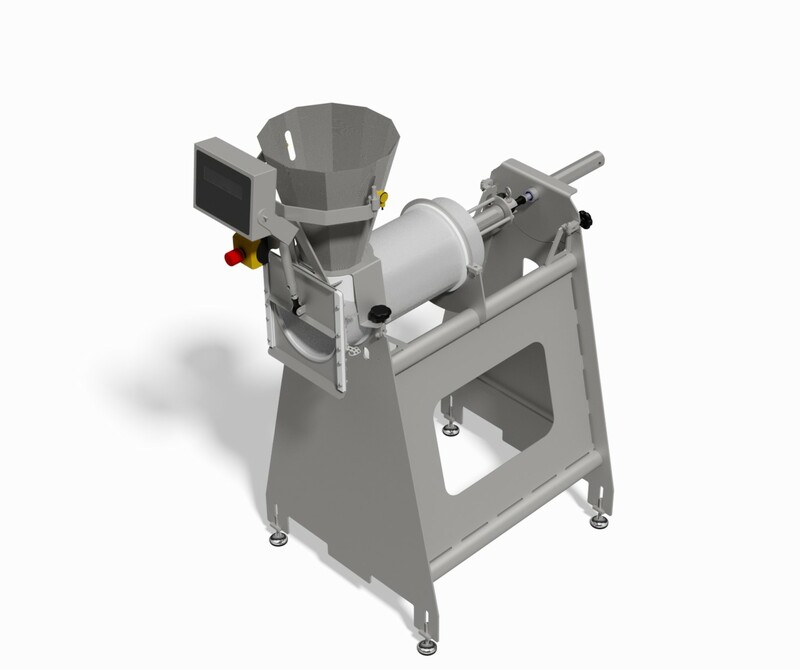 The system is composed of the frame cutting machine, mince washing drum, mince press and mince packing press. The system does not include the mincing machine. The frame cutting machine receives fish frames from the filleting machine and separates the swim bladder and blood part with a bone section from the frames. The swim bladder and the bone section is dropped down from underneath and from the end of the frame cutter either into a collection basket or onto a takeaway conveyor. After the swim bladder and bone sections are removed, the frames and belly flap bones are sent to the mincing machine, which delivers fish mince and skeletons separately. All mince from the mincing machine is delivered to a washing drum, which washes off any remaining blood and debris from the mince. The washing quality of mince depends on water usage. From the washing drum, all mince enters the mince press unit. 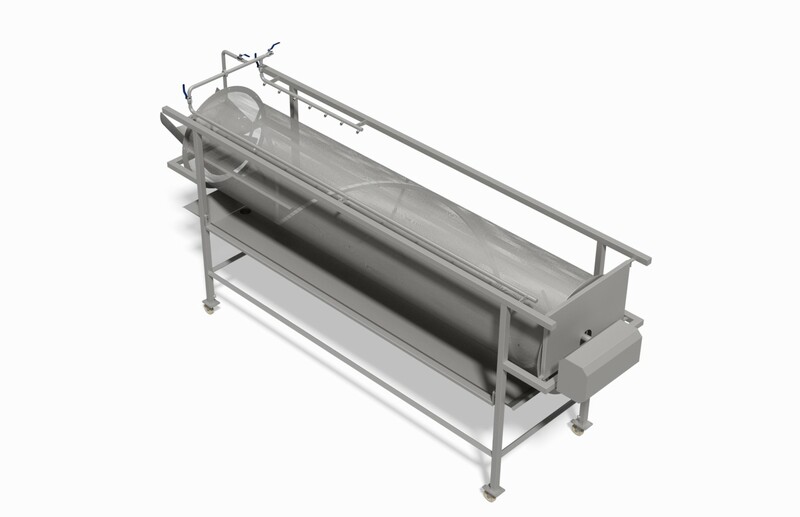 The mince press ensures that all mince that is delivered out of the system contains an even amount of water. The percentage of water can be adjusted by means of adjusting the outlet end of the mince press. Once the mince comes from the mince press it is moved into mince packing machine. 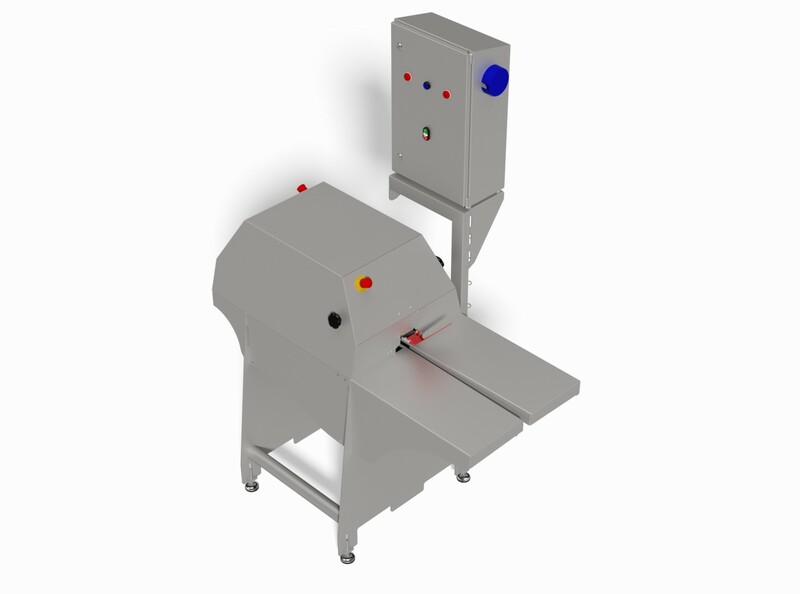 This machine delivers portions automatically, ready to be packed. From there the batch can be put onto a platform scale and the weight can be monitored and adjusted for accuracy.